Your willingness to pay back the loan. For the first, they look at your income-to-debt obligation ratio. For the second, they consult your credit score. The most widely used credit scores are FICO scores, which were developed by Fair Isaac and Company, Inc. Your FICO score is between 350 (high risk) and 850 (low risk). Credit scores consider only the information contained in your credit profile. They do not consider your income, savings, down payment amount, or demographic factors such as gender, race, nationality or marital status. Past delinquencies, unsatisfactory payment behavior, current debt level, length of credit history, types of credit and number of inquiries are all considered in credit scores. 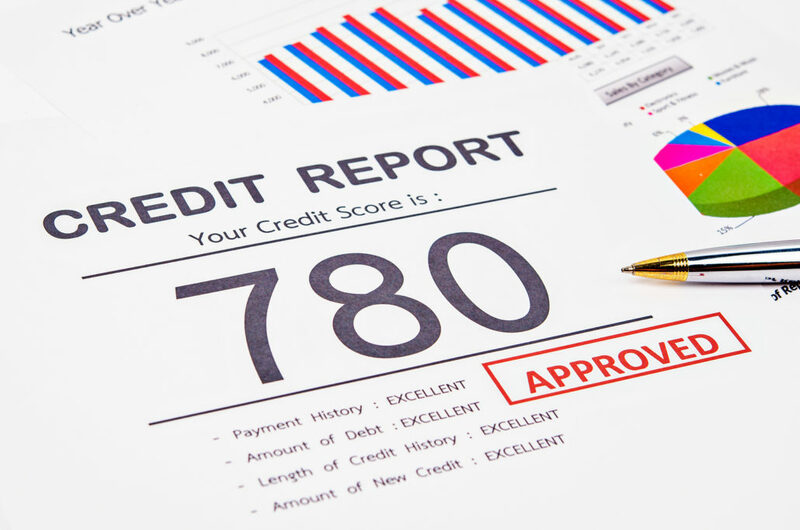 Your score considers both positive and negative information in your credit report. Late payments will lower your score, but establishing or reestablishing a good track record of making payments on time will raise your score. If you do not meet the minimum criteria for getting a score, we can advise you on how to establish a credit history prior to applying for a mortgage. Thirty-five percent of your FICO score is based on your specific payment history. Thirty percent is your current level of indebtedness. Fifteen percent is the time your open credit has been in use (ten year old accounts are good, six month old ones aren’t as good). They also examine types of credit available to you (installment loans such as student loans and car loans versus revolving and debit accounts like credit cards). 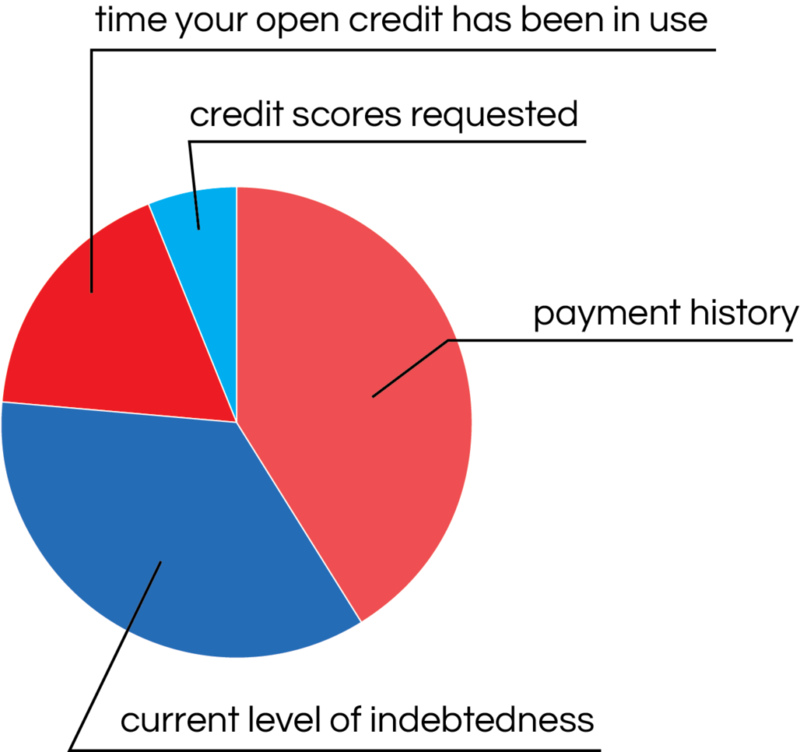 The final five percent is the pursuit of new credit, meaning credit scores requested. For you to get a credit score, your credit report must contain at least one account that has been open for six months or more and at least one account that has been updated in the past six months. The information in your credit report has a huge impact on whether or not you qualify for a mortgage loan and what interest rate a lender will offer. Therefore, it’s important your credit report reflects a positive image of the way you manage your money. If you’re ready to buy a home, getting your credit report is the best way to ensure you get the loan and interest rate you deserve. Request a copy from each. The reason is these three agencies are independent of each other and the information may differ on all three reports. In addition, you may not know which agency your lender will use to check your credit. That’s why getting your credit report from all three places is best. You can verify that all three have correct information about your credit history. If you’ve been denied credit, insurance or employment because of information in your credit report from any agency, you can obtain a free credit report by contacting the agency within 60 days of receiving a denial notice. Your report contains errors due to fraud. There is a way of getting your credit report for free regardless of your employment or financial situation. A recent amendment to the federal Fair Credit Reporting Act (FCRA) mandates that each agency provide you with a free copy of your credit report, at your request, once every year, from www.annualcreditreport.com. They are only available at certain times during the year but check the site to learn when you’re eligible. So whether you’re thinking of buying a home or simply curious about what’s in your credit report, it’s important to correct any errors you discover. By getting your credit report you can stop errors that could be affecting your eligibility for credit in the future.